Annette lives in New South Wales and with her husband runs an organic farm which is also their home. 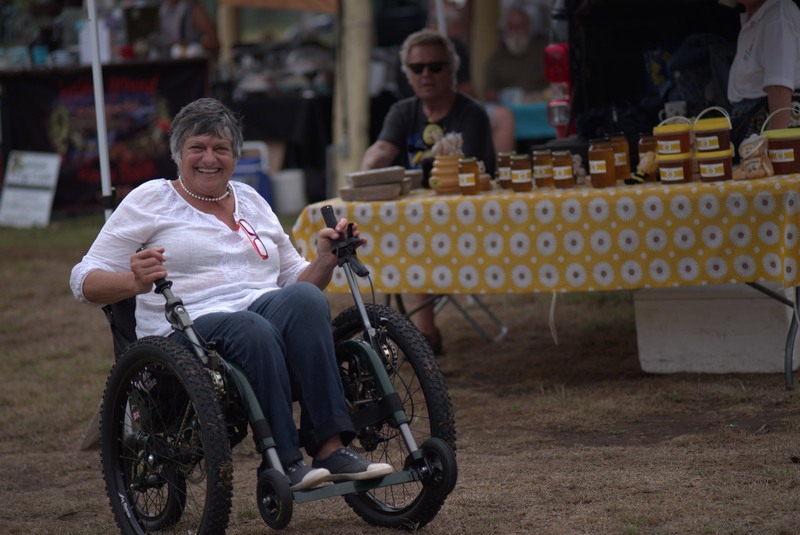 Annette was in desperate need for an outdoor /offroad wheelchair to help access the farm and also the many outdoor events they attend. Annette was thrilled when her Mountain Trike arrived at the start of this year. 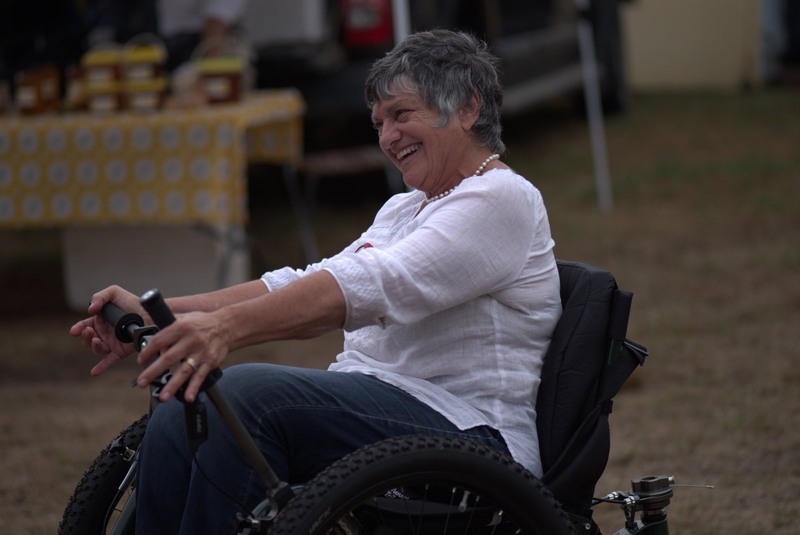 Initially, Annette rode her Mountain Trike around her garden and the more confident she got Annette was able to explore further afield around the farm. We were delighted to receive feedback from Annette, following a return trip from her local farmers market. "After much diligent practice at home, on Saturday we took my all terrain Mountain Trike, to the local monthly market that Les and I help run. It's held at the local showground - not in the smooth level area but a sloping grass area with rocky ground and gravel drives. All easily managed. I was able to get around and talk to all the stallholders which I've been unable to do for some time. People were enthralled and wanted to know all about it. The photographer from the local paper was there and asked if he could take a picture for publishing. It took me a while to master the steering and even longer the brakes. If it wasn't for those 2 front wheels and the sloping seat, my heavy hand on the brake would have given me a real face plant! I've learnt now less is more. I have to do much work on my core strength to ensure a better look in photos, lol! Thanks again, I do love it, Annette"
One of Annette's main concerns was transferring to and from the Trike - but she has found that really easy and now she has mastered the steering and braking there is no stopping her!